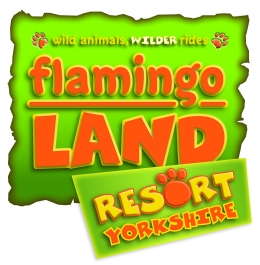 If you’re thinking of heading to Flamingoland then grab yourself a three for two voucher HERE. Simply present this voucher at Flamingo Land Resort to claim your free ticket when purchasing two full general admission tickets. 1) Present your on-line voucher on arrival and purchase two general admission tickets at £37.00 each and receive a third free of charge. 2) One free entry per voucher. 3) Promotion valid between 21st March and 1st November 2015. 4) Not to be used in conjunction with on-line purchases, any other offer or promotion. 5) Not valid for entry to Flamingo Land Holiday Village or special events. 6) Damaged, photocopied or defaced vouchers will not be accepted. 7) No retrospective discounts will be given. 8) Height, age, size and medical restrictions apply on certain rides and attractions. Please refer to our website, the park map and relevant signage for specific details. 9) Flamingo Land reserves the right to refuse admission and withdraw this promotion at any time. 10) Admission is subject to our terms and conditions available to view at www.flamingoland.co.uk. Does anyone know August code for 2 for 1 Flamingo Land please? Thank you very much in advance. Any one help with code please…. Does anyone know August code for 2 for 1 Flamingo Land please??? Thank you very much in advance.